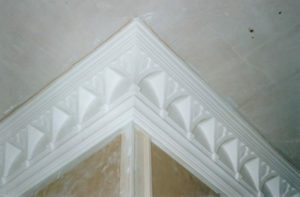 IDS Plasterwork has over 30 years’ experience of creating quality fibrous plasterwork for discerning clients who seek the very best in interior design. We specialise in all aspects of fibrous plastering an our highly skilled craftsmen can produce bespoke features to customers’ own specification, or supply an install from our vast collection of stock items and moulds, including designed ceilings and columns, cornice and panelling. Please view our brochure for a selection of some of our stock moulds. As a material from which to create an almost limitless variety of wonderful decorative shapes and patterns, fibrous plaster is without equal. It is not only flexible to work with, once in place if provides a durable and lasting finish. The versatility of fibrous plaster has been recognised by leading designers and architects alike who wish to incorporate classical features in their work. It is a well proven material which represents no risk to health and is fire resistant. 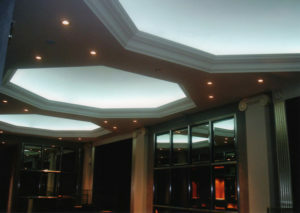 We have an experienced workforce of highly skilled craftsmen to carry out all our clients requirements. New clients and those we have been working for since our company first started have benefited from all our experience in fibrous plaster.